In Short We would HIGHLY recommend Mukul. It was one of the best vacations we’ve ever taken. To Elaborate The service is incredible, the rooms are STUNNING, the weather is amazing, and the food is amazing. The surf was beginner friendly when we were there, tho I don’t know what the waves are always like. We loved our surfing lesson and the waves were nice and manageable for us. All in all would 100% recommend! Posted on January 14, 2018 by Alexandra Hynes and filed under honeymoon and tagged Gualicito Nicaragua. 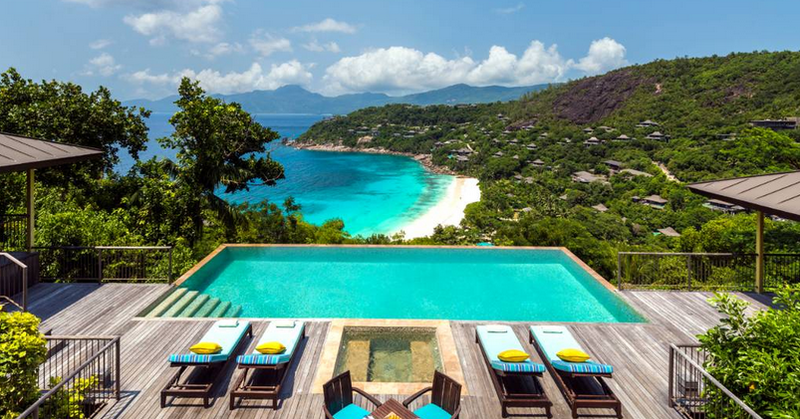 In short After honeymooning in South Africa, we ended our trip at the Seychelles at the Four Seasons Mahé. This leg was filled with lots of R&R, some yoga and paddleboarding, but was the perfect way to wind-down after the previous 2 weeks of adventure and exploration. Posted on January 14, 2018 by Alexandra Hynes and filed under honeymoon and tagged Mahe Island Seychelles. in short South Africa was truly the trip of a lifetime! We started in Capetown which was a blast. We hiked, went shark cage diving, wine tasting and just explored the city and surrounding areas. We then went up to Sabi Sands Game Reserve for safari and stayed at the Londolozi Game Reserve in the Pioneer Camp. This was the highlight of our entire trip. 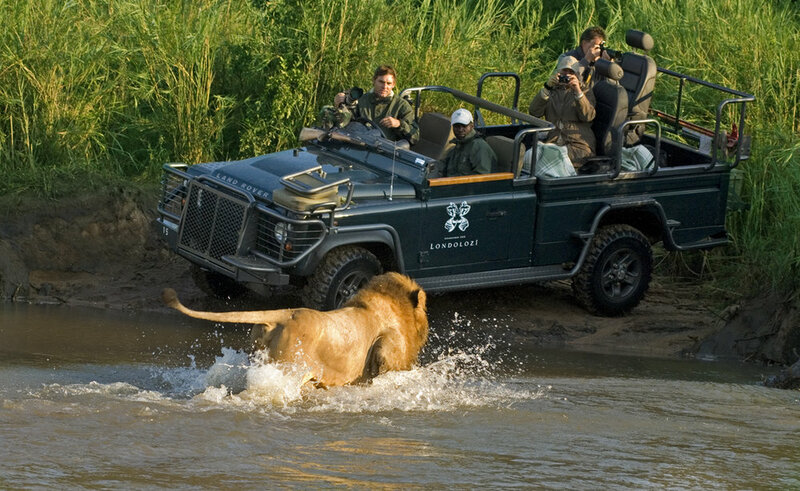 To Elaborate I would highly recommend everyone try to go on safari at least once in their lifetime. It was a life-changing experience seeing all of these big, beautiful animals up close and in the wild. The Londolozi staff, lodging, food, everything was world-class and we would go back in a heart beat. We finished with a few days in the Seychelles at the Four Seasons Mahé. This leg was filled with lots of R&R, some yoga and paddleboarding, but was the perfect way to wind-down after the previous 2 weeks of adventure and exploration. Posted on January 14, 2018 by Alexandra Hynes and filed under honeymoon and tagged Kruger National Park. In Short I worked with Coleen Coletti from Simply Honeymoons. Do yourself a favor and hire her or another travel agent for your honeymoon. With everything else going on, she made the process SO simple and gave us 3 amazing options. To Elaborate We went to Hawaii and visited Oahu (2 nights), Kauai (3 nights), and Maui (5 nights). Oahu was cool because we went to Pearl Harbor which was totally worth it. Kauai is beautiful and amazing. We stayed at the Grand Hyatt which was incredible. Maui is an awesome mix of adventure, relaxation, and fun. We stayed at the Westin which was fine, but not necessarily something to write home about. The pool was awesome and the beach was bigger than what was offered by the other hotels in Lahaina. There is so much to do in Hawaii so it was a great mix of relaxation and exploration. Posted on December 16, 2017 by Alexandra Hynes and filed under honeymoon and tagged Boston MA. In Short Absolute luxury and elegance. So beautiful! And the town of Antibes was very quaint and lovely. We did a few days there then a few days in Paris! Amazing!!!! Posted on November 4, 2017 by Alexandra Hynes and filed under honeymoon and tagged Antibes France. In short During our honeymoon, we went to Paris, Positano, and Capri. Each destination was so incredible, but I would most highly recommend the family-owned Hotel Caesar Augustus in the town of Anacapri on Capri island. The view is the best on the island, as it catches the sunset. It also has an infinity pool and grounds that are sprawling with gorgeous gardens. We experienced great service there, greeted by the owner who upgraded us to a suite. This hotel is the perfect balance of luxury and authenticity. Posted on June 23, 2017 by Alexandra Hynes and filed under honeymoon and tagged Capri Italy. In Short Italy was the perfect mix of relaxation and then exploring. We started off with a week in Positano where we could hit the beach and relax by the pool, but also had a chance to explore some other towns on the Amalfi Coast and take a trip to Capri. For our second week, we headed back up to Rome and had the best time sightseeing and eating the most delicious food (and drinking the best wine!). We planned our honeymoon with help from Matteo from Discover Your Italy. He put together the most amazing itinerary filled with private tours, a cooking class and amazing hotels. Posted on March 12, 2017 by Alexandra Hynes and filed under honeymoon and tagged Italy. In Short Patagonia is incredible and such a great honeymoon spot for couples looking for a little adventure, incredible scenery and amazing food and wine. Our first leg was in Ushuaia, the southern most tip of South America. The hotel we stayed at there was Arakur. Our second (and favorite) leg was in El Calafate, a remote area of Patagonia two hours north of Ushuaia. We stayed at an incredible hotel/ranch called Eolo. This place is heaven on earth – it was so hard to leave! The last leg was spent in Buenos Aires before heading back to Boston. Posted on March 12, 2017 by Alexandra Hynes and filed under honeymoon and tagged Patagonia Argentina. In Short An amazing hotel with modern rooms, a very chic lobby and a salt water pool. It's up on a hill so the walk down to the beach is tough, but the beach is great. It also is 30 minutes away from town which is far. We wish we stayed closer to town because we were only in Mykonos for 3 nights. The hotel did have shuttles occasionally into town- a taxi is otherwise hard to find and everyone rents cars. Posted on November 17, 2016 by Alexandra Hynes and filed under honeymoon and tagged Mykonos Greece. In Short The BEST traditional Greek cave hotel- with the best spot for sunset watching. People line up all around the hotel from the island starting at 4:00 PM just to see the sunset at 9 PM. We got to hang out by the pool and our private jacuzzi and then enjoy the sunset. We both agree we will be going back to Santorini and staying at Esperas again! Posted on November 17, 2016 by Alexandra Hynes and filed under honeymoon and tagged Santorini Greece. In Short We did one week in Santorini and one week in the Amalfi Coast. The entire trip was amazing but I have to say Santorini was my favorite. To Elaborate We stayed at the Canaves Oia Suites in Santorini, and I’m still not sure it is real! I could never do Canaves justice by trying to describe it. All I can say is our first days in Amalfi, at another 5 star hotel, we were homesick for Canaves. I hope we can return someday...if in fact it is real! Posted on October 30, 2016 by Alexandra Hynes and filed under honeymoon and tagged Santorini Greece. In Short Big Sur and the Post Ranch Inn were definitely the highlight of our trip. To ElaborateFor our honeymoon, we chose to do something that involved less travel than we had initially planned (we had originally planned to go to Greece/Italy). We ultimately landed on doing a trip down the California coast. Big Sur and the Post Ranch Inn were definitely the highlight of our trip. Each room is essentially a standalone treehouse or water-view cottage. The property is incredibly private and secluded in a way that lends itself perfectly to a honeymoon stop. I will say that 3 nights is the most I would recommend for the Post Ranch Inn. Aside from relaxing in the spectacular infinity hot tubs, visiting the spa or going for a hike in the beautiful hills, there is a not a lot else to do off the property. The town of Big Sur itself is also tiny and there are maybe 1-2 other restaurants worth visiting (otherwise you are eating breakfast, lunch and dinner on the Post Ranch Inn property). I would recommend that if you are doing a Pacific Coast trip you also visit / start in Napa (Yountville in particular) and stop for 2 nights at the San Ysidro Ranch in Montecito (outside Santa Barbara). Posted on October 30, 2016 by Alexandra Hynes and filed under honeymoon and tagged Big Sur CA. In short If you are looking for a hotel with a fun scene or a busy bar/pool, this is not your place. If you are looking to unwind in a beautiful, quiet, resort with amazing service, then I would definitely stay here. It's close to the center of town, so you can always take a short cab ride there for some lively nightlife. To elaborate I had heard a lot about the Aman hotel chain and had spoken with some "Aman Junkies," so staying at an Aman was high on my list for our honeymoon. We decided on the Amansara because we wanted to go to Siem Reap on the way to Song Saa Island. 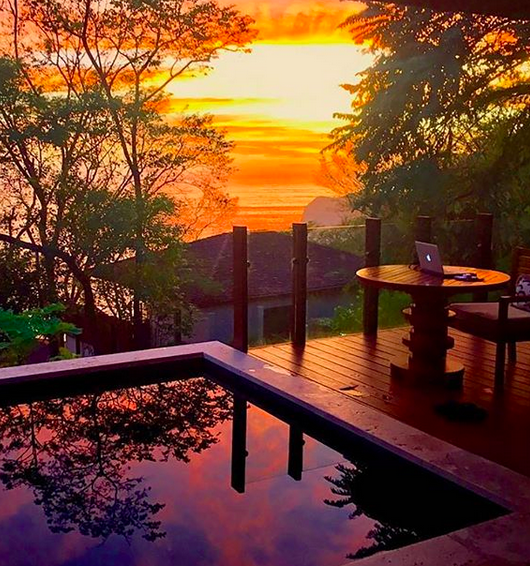 The experience at the Amansara starts right when you get off of the plane. A representative from the Aman came and met us, took our passports, got us through customs in record time, and led us to a vintage Mercedes, which was our ride to the hotel. Once inside the car, we were greeted with cold towels and water, and taken directly to the Amansara. This top notch service continued throughout our stay. The grounds are beautiful and minimal, and the buildings are mid-century modern. Everything is clean and sleek and you feel almost like you've stepped back in time. One of the great things about the Amansara, is that they have everything planned out for you. We only had two days in Siem Reap, so they had arranged a guide to pick us up at the crack of dawn, to take us to Angkor Wat and the other surrounding temples. Before you depart, they bring a beautiful breakfast to your room. If you stay here, I would highly recommend the private dinner at their Khmer Village house, which is about a 15-20 min drive from the hotel, out in a small village. It's expensive, but it was one of the most memorable things that we did on our honeymoon. The food was amazing and the experience was so unique and almost magical. The only cons to consider are the timing of your trip- we stayed at the Amansara in May, which is the beginning of the rainy season, so the hotel wasn't full. It is a quiet and peaceful place to begin with, so at times it felt almost desolate and a bit off-putting. Posted on October 22, 2016 by Alexandra Hynes and filed under honeymoon and tagged Siem Reap Cambodia. In Short AMAZING. Beyond a dream. To Elaborate This was absolutely the honeymoon of our dreams. The IC Thalasso has the best view of Mount Otemanu of any of the resorts on the motu. We woke up in our over the water bungalow every morning surrounded by the gorgeous, crystal clear lagoon and amazing views. The resort was sold out while we there, but we never felt overcrowded and definitely had privacy in our bungalow. Staff was attentive and kind. Every guest was either on their honeymoon or celebrating an anniversary. The spa was fantastic. There is a free shuttle that runs between the IC Thalasso and its sister Le Moana resort several times daily to give you access to the main island, and once you arrive at Le Moana you can take a quick shuttle into town. This was great to stock up on groceries, etc. as Bora Bora gets pricey fast. We saved a good amount stocking up on drink mixers, snacks, etc. We booked excursions in advance but if you'd like to book on site, the staff was helpful. My husband and I love a mix of relaxing on the beach but also some adventure, and Bora Bora certainly met our expectations. We spent most of our time in the water - the lagoon is breathtaking and the water is like bath water. Definitely be prepared to spend a lot to go there, to stay there, and while you're there, but it was worth every penny as it was truly a once in a lifetime experience. Would love to go back one day! So romantic, relaxing yet fun, and unbelievably beautiful. Posted on October 14, 2016 by Alexandra Hynes and filed under honeymoon and tagged Bora Bora French Polynesia. In Short The rooms were amazing and the island was so beautiful. It is totally off the beaten path and we really felt like we were doing something different, we didn't know anyone who had been there and still don't. To elaborate So much to say! South East Asia is one of my favorite places in the world, and I traveled there a lot in my 20s with friends. My husband had never been, and I really wanted to experience it together, but also go somewhere that I hadn't been. I had been to Cambodia before, but never Song Saa (or that part of Cambodia). We had tossed around the idea of going to the Maldives or the Seychelles, but with layovers it was going to take 30+ hours to get there. Also, because my husband hadn't traveled much, I wanted somewhere with a little culture too and Song Saa was perfect because we could go to Siem Reap before and go to Ankor Wat. We started the honeymoon off in Koh Samui at the Four Seasons. I had been to Thailand before, but had only done it staying in $10 a night shacks on the beach, so it was fun to "do it up" and it was also a great way to start the honeymoon. It was very "easy" there. I mention this because it wasn't that way at Song Saa, which I will get into. From Thailand we went to Siem Reap for two nights and then flew down to Sihanoukville to catch the boat to Song Saa. Song Saa is not easy to get to. There is only one flight a day from Siem Reap and the flight basically leaves whenever it wants to. They often wait for the plane to fill up and so it is delayed. In our case, it was delayed and then we had to flight at night, in a storm, on a plane with propellers (not fun). When we arrived to get the boat to Song Saa, it was dark out and thunder and lightning all over the place. It didn't feel safe to get on the boat but they assured us that it was fine and that they had GPS. We were the only people on the boat other than three young Cambodian guys who worked for Song Saa. It's about a 45min boat ride and it was SO scary and the waters were very rough. When we were halfway there our engine went out and we had on life jackets and thought that we were going to have to jump ship. They wanted to turn back, but they had second engine, so we kept going. We made it to Song Saa in one piece and it was almost magical when we arrived-- it wasn't raining and there were tiki torches everywhere and we were greeted by the GM, Karen, who has only been working there a week and said that was the worst storm they'd had in 8 months. The rooms were amazing and the island was so beautiful. It's more "rustic" and doesn't run as smoothly as a place like the Four Seasons, or the Aman, but that is one reason why we chose it. It is totally off the beaten path and we really felt like we were doing something different, we didn't know anyone who had been there and still don't. They set up dinner in different places around the island, which is kind of fun. We went at the start of the "off season" (May) so it was a little deserted and felt kind of empty. The people working there are so friendly. They employ people from the surrounding areas which is really great, but the level of professionalism isn't always the highest. For example, we tipped one waiter on top of the 10% that is already built into the bill and the guy literally freaked out and was dancing around because to him it was a lot of money (it was $20 I think), but this guy had just started working as a waiter there and was so excited. It was endearing but obviously not something you would normally see at a "luxury resort." That was part of what we loved about this place though-- it didn't feel too polished and it has a very laid back feel. I only mention this because some of the reviews people are saying that it isn't "5-star" caliber, and I think it is in every other sense. We also loved that they have a foundation set up to help a neighboring village on Koh Rong island. We took a tour of this village and heard about everything that they are doing. I would advise people not to do the tour until the day before you leave because you basically go from this gorgeous island to seeing people living in really dirty/hard/poor conditions and you can see that island from Song Saa. Once we knew what was just 15 mins away (by boat) it felt hard to be in such a luxurious place, looking back at that island and knowing that we had just seen kids eating styrofoam and animals with big sores on them. On the other hand, it's pretty amazing what the Song Saa foundation is doing for the local people, so that felt good. Kind of heavy stuff for a honeymoon. The food was really good and there is a lot to do on the island but you are very isolated and I wouldn't spend more than 4-5 days there unless you really like to be remote. Overall, I would totally recommend it to couples who want to do something different and are up for a bit of an adventure. It is really unbelievably gorgeous and the nearby area is not built up or touristy at all. Posted on October 8, 2016 by Alexandra Hynes and filed under honeymoon and tagged Song Saa Cambodia. In Short A one-of-a-kind experience, the most amazing way to spend time with elephants, and a great alternative to a safari, but expensive and a little sleepy. You don't need more than 2-3 nights. To elaborateSince the resort, or camp, is so small - there is just one restaurant and 15 tents - you can see and do it all in a short stay, especially if you are interested in seeing as much of Thailand as possible. We went from Sumba Island in Indonesia to Chiang Rai, where the resort is. We were blown away by the tents - they are totally magical, and each have their own porch overlooking elephants, water buffalo, the Mekong River, Myanmar and Laos. In April, when we went, it was extremely hot and hazy so the views of the mountains were not crystal clear but we heard December-February is picturesque and prime time. Two elephants come to breakfast everyday and you can feed them bananas. It is as amazing as that sounds. On the first day we rode elephants in the morning and the afternoon, which was unforgettable. On the second day, we went to Chiang Rai's market, historical temple and Opium Museum, and took a Thai cooking class. The class was great! On the third day, we hung by the pool and did a spa treatment. The massages live up to expectation. Our honeymoon was winding down, but some of the couples we met were going to Chiang Mai and then the Thai Islands: Koh Sumai and Koh Krabi which sounded like an incredible way to see all of Thailand. The flight from Bangkok to Chiang Rai as well as the drive from Chiang Rai to resort is quick and easy. Cons are that it's very price, a little sleepy, and if you're looking for a complete resort experience in terms of pool, dining and nightlife you will likely feel it comes up short. Posted on April 29, 2016 by Alexandra Hynes and filed under honeymoon and tagged Chiang Rai Thailand. In Short I cannot think of a better honeymoon. There isn't a resort like this on the planet. Heaven on earth! To Elaborate We spent 9 nights at Nihiwatu and could have happily spent more here. We briefly considered spending a few nights in Bali since we had to layover there, but we are SO glad we stocked up on time here instead. It's one of the most beautiful, exotic places I've ever been. Tourism is still so new and rare here that Sumbanese are delighted to have visitors and rightfully proud to show off their island and their culture. Nihiwatu sits on a mile and half long stretch of beautiful, protected beach and acres of jungle landscape. Each private villa has an ocean view and is decorated like a home. The property winds through rock pathways, palm trees, hanging ivy and organic gardens. If you're at all interested in surfing, no matter the level this is the perfect place; I could not get enough! Nihiwatu has one of the most famous surf breaks in the world, which is enhanced by the fact that they only allow 10 surfers in the water at a time. We came during April when the swell, which can be enormous here, was just the right size for us beginners. We did lessons almost everyday with their incredible watermen. The water is crystal clear and 80 degrees; the waves are big enough to be exciting, and small enough to be welcoming. We also went on two beautiful hikes, one that overlooks acres of rice paddies and one through rolling hills and a local village that ends at Nihiwatu's spa, Nihioka which sits on a cliff overlooking the most beautiful beaches. They call their spa experience a "Spa Safari," which I think is GENIUS. You can get to it by hike, car or horse -- we loved it so much we spent two different days, one via a 90-minute hike with the sweetest guide Tiger, and another via horse with the coolest guide Carlos. We saw local villages and herds of goats, sheep and water buffalo. You cannot beat it. Once you arrive, the spa gives you a robe and takes your clothes, including your sneakers, and washes them. You receive your own private bale overlooking waves crashing into rocks and are served fresh juice and breakfast before choosing as many treatments from their menu; everything is included in one price. We did facials, aloe rubs, deep tissue massages, coconut hair masks, foot reflexology... I mean it was heaven and the cost is the best deal going. Let's just say we felt we'd be crazy if we didn't go twice. During our 9 days, we also paddledboarded down the river, horseback rode on the beach, and took complimentary yoga classes at the Yoga Pavilion, found on a cliff overlooking the entire beach. The service is amazing at Nihiwatu; each villa receives its own private butler who is dressed in the coolest Indonesian threads and carries a sword around... in case you'd like a fresh coconut split open. We loved our butler Arafin - he taught us local phrases and made us feel like we had family here in Sumba. On our last night, Arafin and the team surprised us with gifts, massages and a private beach dinner. The food is delicious-- centered on fried rice, fresh seafood and some Western classics plus they have an extensive fresh juice for a healthy kick and made from scratch ice cream. All food except alcohol is included in the price of a villa which for me led to maximum relaxation. There's nothing worse than being at a resort and seeing that you've spent $100 before lunch... Here, I didn't bring my wallet or think about the price of anything once. It was bliss. Finally, Nihiwatu is integrated into Sumba's culture and has a mission to build up the island through its employment practices and Sumba Foundation which has built schools, medical clinics, and even roads--- being a guest here was the opposite of feeling like an obnoxious tourist. You felt like you were part of something wonderful and you truly are at Nihiwatu. We hope to come back back again and again. Posted on April 23, 2016 by Alexandra Hynes and filed under honeymoon and tagged Sumba Island Indonesia. In ShortThe ultimate way to unwind in luxury after the excitement of the wedding and a long flight. To ElaborateCan't say enough good things about this property. The hotel itself was gorgeous yet intimate, with only 11 suites in total. The staff couldn't be more accommodating and truly provided a "full-service" experience. The food was outstanding - fresh, clean, delicious - and they always catered to any particular preferences you might have. The scenery was surreal, we overlooked the ocean from our suite and could see a handful of whales in the water at all times. Birkenhead House was truly the perfect blend of luxury and laid-back, and we would recommend it to anyone traveling to South Africa! Posted on December 15, 2015 by Alexandra Hynes and filed under honeymoon and tagged Hermanus South Africa.